10% DISCOUNT Black Friday thru Cyber Monday! 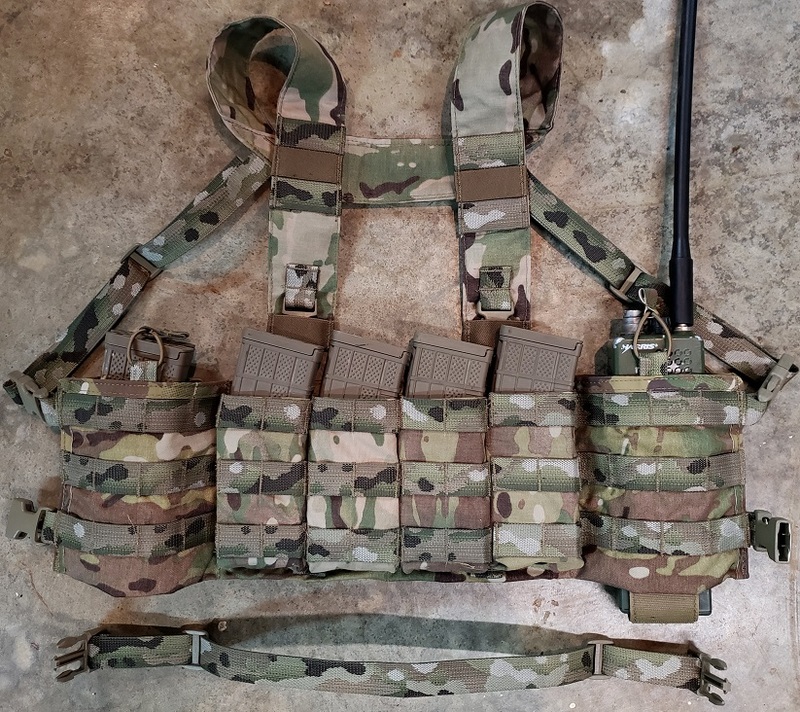 The Special Operations Rig (SOR) was designed in collaboration with SOF personnel, specifically to fill the need for a chest rig / PC panel that is optimized for operational use, while comfortably carry the AN/PRC 152 radio. 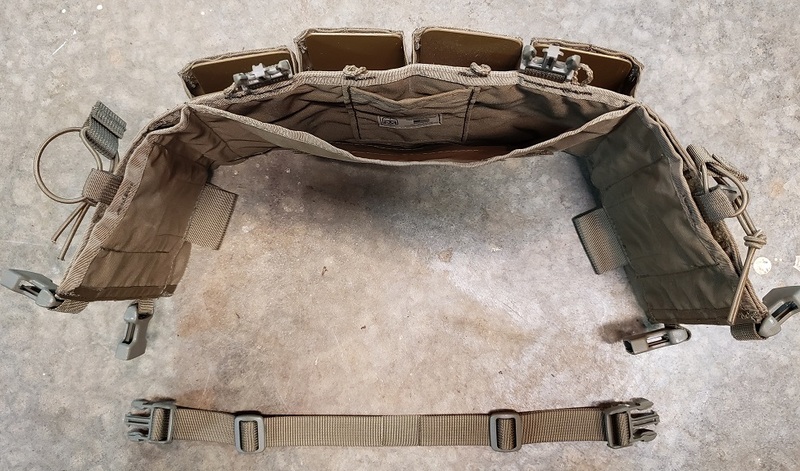 This has resulted in four front kydex magazine pouches (5.56) flanked by two collapsible side pouches that enhance the rig by allowing the carriage of two radios (one each side), or 2 x 5.56 magazines in each radio pouch, or use the pouches for admin items or leave them collapsed. In addition, the front of the radio pouches have four rows of MOLLE, for the attachment of admin pouches as needed. 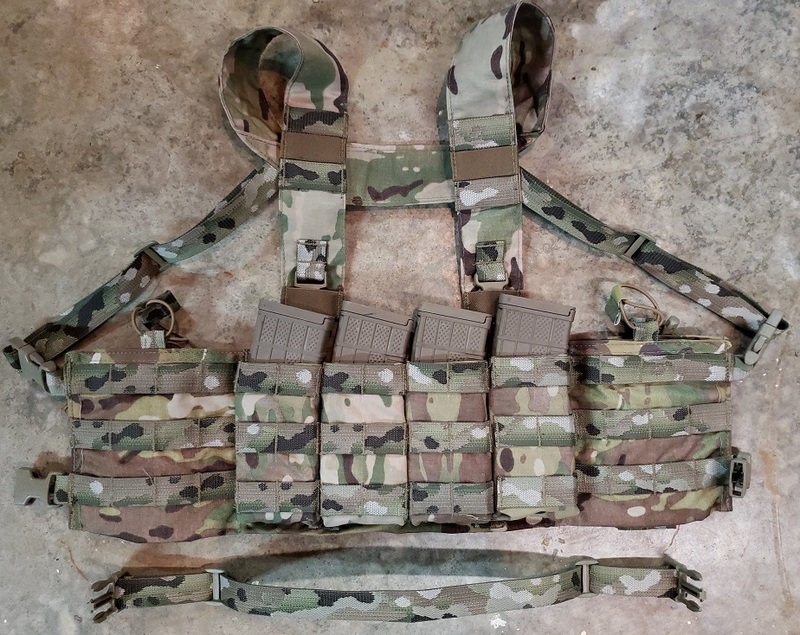 These specific design features and capabilities have resulted in a chest rig that is extremely versatile to varying load requirements, and will suit non-military as well as military personnel, whether or not you carry a radio on your gear. 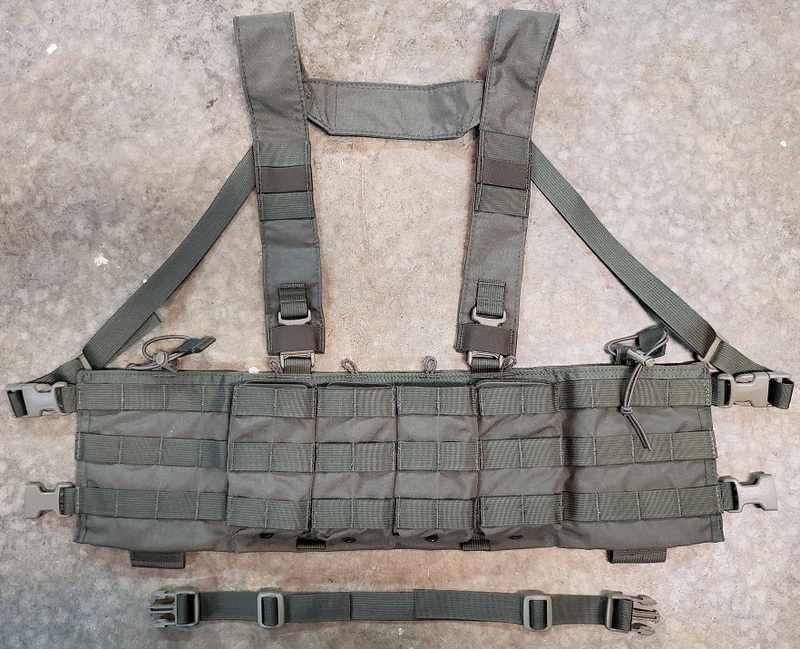 It can be used entirely as a standalone chest rig, attached to a plate carrier, or as a hybrid allowing optional attachment to a plate carrier, depending on the tactical situation. 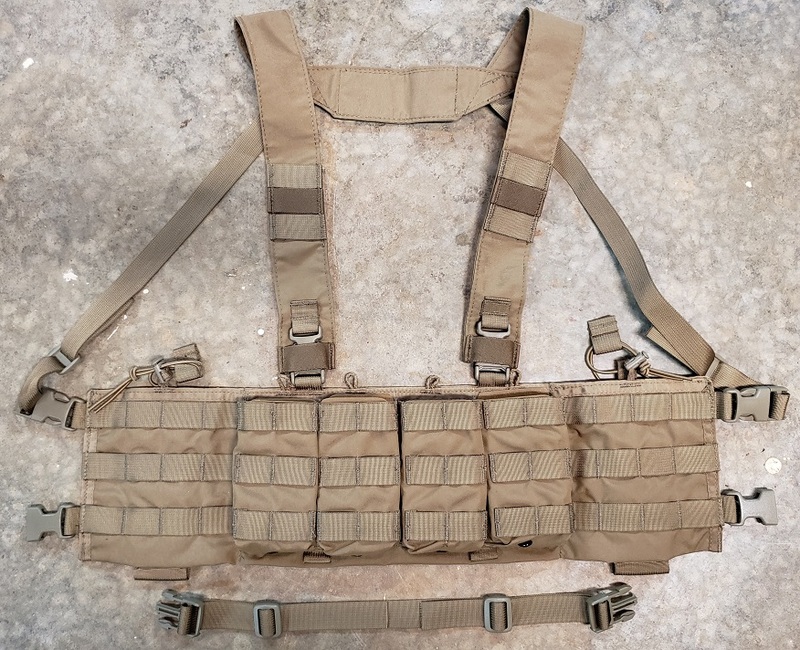 Wear the SOR with the supplied H-harness, over a Plate Carrier or standalone. 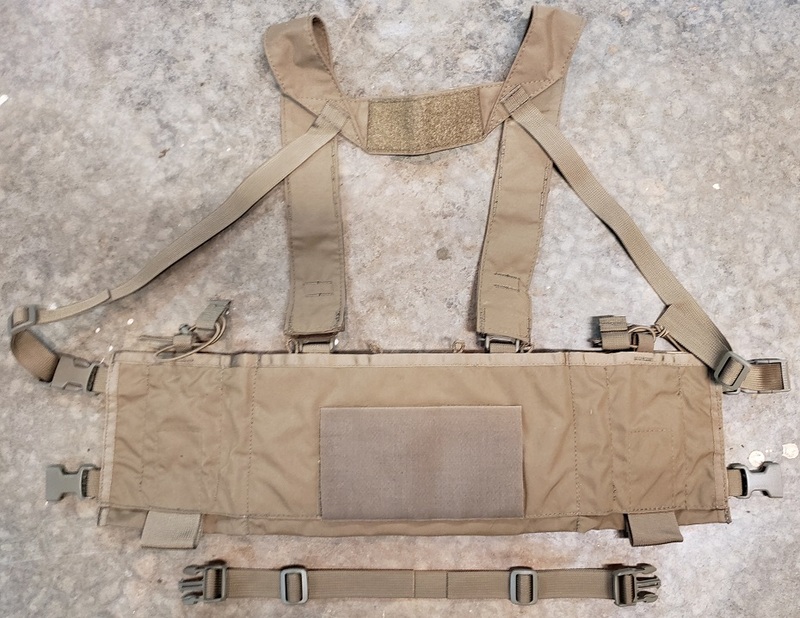 Utilize the supplied PC Kit to attach the SOR directly to your Plate Carrier. The SOR is designed to allow the radio pouches to adjust comfortably across your chest, or if worn over a PC, the radio/mags fit into the space beside your front plate. The Special Operations Rig (SOR) is well designed and crafted, 100% MADE IN USA, giving you the ability to carry four (4) x 5.56 (.223) magazines in easily accessible magazine pouches. Utilizing kydex retention inserts in the magazine pouches gives excellent magazine retention while allowing for lighting fast reloads. You can plus up the rig to 8 magazines, using the collapsible side pouches, as needed. 5.56 (.223) magazine pouches with kydex inserts x 4. The 4 front kydex mag pouches also come with elastic removable retention pull-tabs, to give you more options. Low profile slim fit with the 4 x magazine pouches close to the body. Each magazine pouch is supplied with a Kydex insert which both secures the magazine and allows for fast reloads. 3 rows of MOLLE across the rig for maximum versatility. 4 MOLLE wide side panels for the attachment of additional pouches. 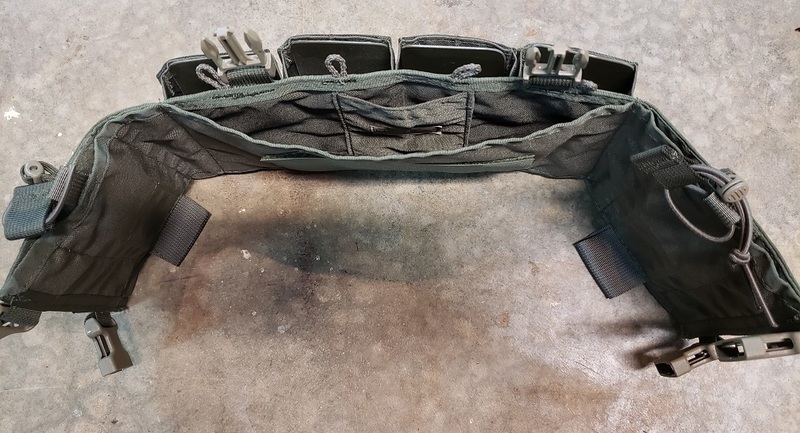 2 x collapsible radio/magazine pouches behind the side panels, specifically designed for the AN/PRC 152 radio / 2 x 5.56 magazines. The side radio pouches also feature a velcro adjustable bottom panel, which allows for adjustment of the radio fit up or down to operator comfort. Adjustable elastic cord straps on the radio pouch to secure items of various sizes. 4 adjustable points for a “perfect fit” for almost any body type / shape. H-harness design – providing comfort to be worn by itself, or with a backpack. 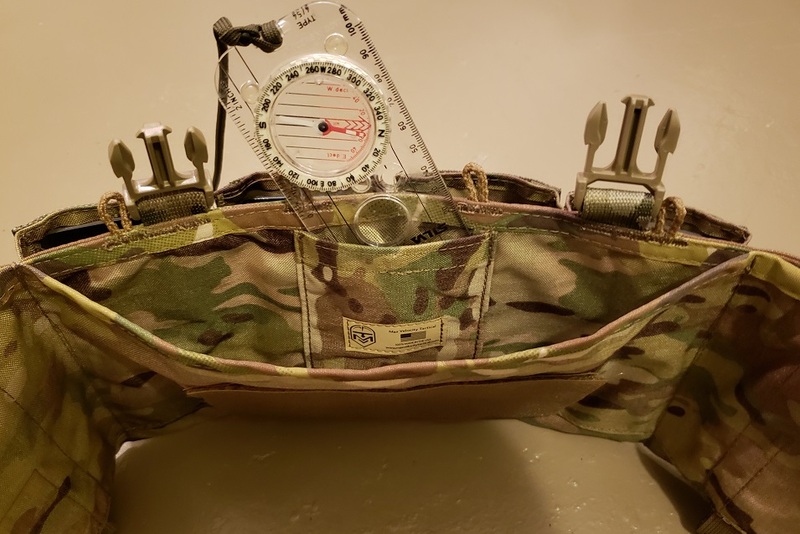 Map / Notebook Pouch on back of rig. 'Silva'/'Suunto' orienteering-style compass pouch internal to the map / notebook pouch. Rear velcro patch, with optional cover, to allow the attachment of a sub-load pouch. Antennae loops on the bottom of the rig. By using a flexible antenna extension, you can route the antennae(s) down and under the rig.